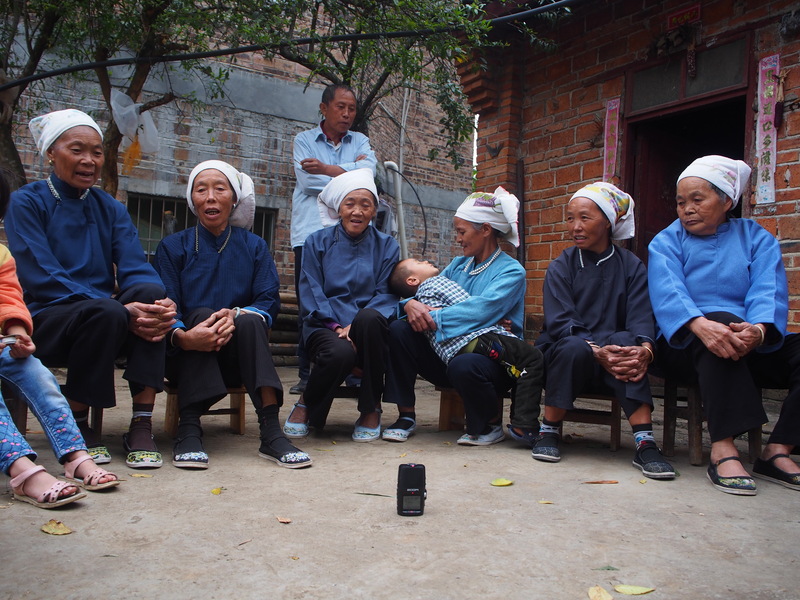 From 24th October to 4th November, I engaged within a fieldresearch in the township of BaBao, Yunnan Province, China. Together with three other scholars from China, Australia and the UK, all deriving from different fields (namely media, social and cultural studies), we were trying to assess the demographical changes and subsequent problems the region faces in the wake of its 21st century development. Here’s what I’ve learned, alongside a short introduction. There are a lot of things one could attribute to the township of BaBao that lies rather remotely in the Wenshan Zhuang and Miao Autonomous Prefecture in Yunnan, China; be it the nature, the people or the rich culture stemming from its residing ethnic communities. The town of Babao chose six characteristics, that – it thought – would fit the image of the region and its villages best, to go along with the town’s name and placed their respective characters for all to see in the midst of the town’s central people’s place. The phrase still holds some truth, even though things are changing rather quickly as of late in this remote area of the Yunnan province. When I got there as part of an international research team in late October this year, it would’ve been difficult to not notice that BaBao is amidst extensive transformations that concern nearly every part of its societal and cultural state of being, some of which have already been concluded a while ago. Every transformation within he region thereby tells its own story, often voiced by the people themselves. As for example that of a dam that was built for irrigation purposes, flood prevention, and power generation, which strikes you as a magnificent venture also blending in nicely with its natural surroundings, but also tells a story of some Zhuang farmers being relocated or left without water supplies for their fields in the process of building it. A scenario that again proves, that often in contemporary China, the end justifies the means. If nothing else this case is already worth mentioning since it proves a change of heart within the society of BaBao to become a less traditional and more utilitarian one. The whole region formerly evolved around its agriculture, be it the Miao people within their remote mountain villages growing corn, or the Zhuang growing rice in the valleys. Even though many families are still heavily entangled with the local agricultural production, also regularly selling their food on the street-market of BaBaoZhen, they are becoming less and they are becoming old. The latter obstacle is, what actually brought me and my colleagues to BaBao in the first place. The movement of the young and the question of how to reverse or rather cope with their flight of the rurality. An interesting but challenging task that we inarguably couldn’t solve within just two weeks of research in the area. Nevertheless it gave us an opportunity to do preliminary assessments and gather an understanding for what the region might have to improve on. Here are some background information and initial thoughts on this matter. BaBao township lies in the utmost eastern outskirts of the Yunnan province, within the utmost eastern outskirts of the Wenshan Prefecture and therein the Guangnan County, bordering the Guangxi province to the east and Vietnam to the south-east, while assembling a series of smaller villages [such as 河野村 (HeYe Cun), 里乍 (LiZha)] and the name-giving town 八宝镇 (BaBao Zhen) in the centre, under its regency. Its distinct location thereby plays heavily into the challenges described beforehand. Due to its remote location within Yunnan, BaBao is rather difficult to reach. Furthermore it seems, there isn’t much reason to go there in the first place – at least for non-locals. According to wikipedia (cf. Wiki 2016) the four pillar industries of Yunnan are tobacco, agriculture, mining and tourism. Even though you could make a case that BaBao might be able to deliver on two of those accounts (namely tourism and agriculture), it’s actually facing a declining and mostly self-sufficient agriculture, to go along with an underdeveloped local-tourism industry. 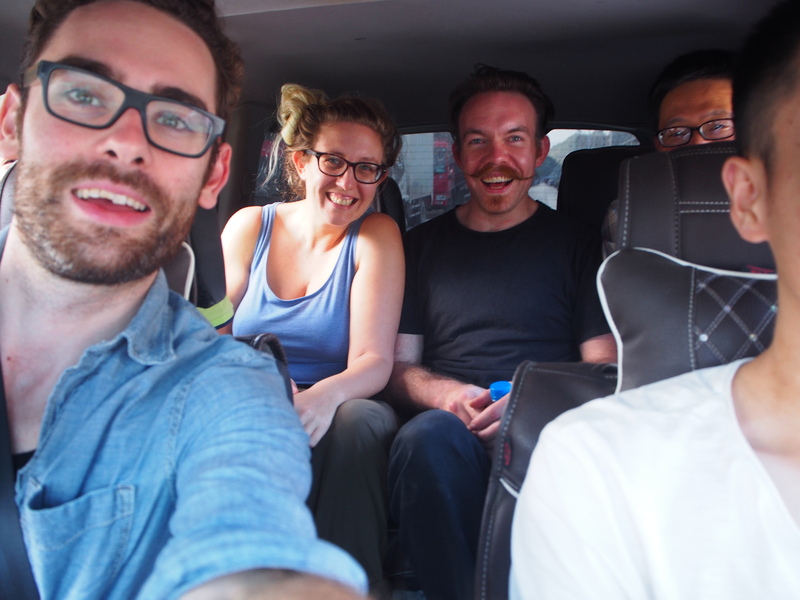 From the prefecture-level city Kunming it takes in between 5-7 hours to get to BaBao by car, which is – as of now – the only way to get there. About the same it would take you to reach Lijiang or Dali by train, the main tourist attractions of the province. Unfortunately they are located on the north-west-end of Yunnan, meaning the exact opposite direction of BaBao. Which makes it hard on time efficient travellers to opt in favour of seeing a place like BaBao, instead of going to these broadly advertised “must-visits” of Yunnan. Thus it seems also rather difficult to make a case to investors for BaBao in terms of its tourism potential, which is certainly given, but hard to build upon. So with all of that there comes the inevitable problem of a lack of economic opportunities for people residing in the region. On the other hand it takes 11-12 hours to go from BaBao to Guangzhou by car, merely four hours more than to reach Kunming and whilst whole of Yunnan counts to the economically rather underdeveloped provinces in China, Guangzhou and its adjacent cities as e.g. Shenzhen or Dongguan actually boast the largest urban area in the world. The area known as Pearl River Delta, is currently inhabited by more than 40Million people, and that’s without counting the neighbouring cities of Hong Kong and Macau amongst them (cf. Census 2015). No wonder our initial interviews with the local stakeholders also revealed that many, if not most, of the young people where heading there to get a job and earn money. In the case of an old Zhuang man, three of his five kids headed to Guangzhou, whilst one son worked for the local cultural ministry and one daughter at a nursing facility in BaBaoZhen. We went on to visit a series of local facilities amongst them a hospital but also two schools, which seemed to do well in terms of the number of their students. The question, why those young people were leaving or would leave eventually, thus was a rather easy one to answer, given the circumstances. If they reached a certain age and were looking for work they simple had to, due to a lack of economic prosperity within the region. Eventually being forced to leave their old relatives behind. How to solve this problem, has been a much more difficult task for us and still remains on the agenda. The more so, since it has subsequently raised another question, being that of “how to take care of the old folk?”. The local health insurance system for the old, which included a yearly check-up, was at least partially countering the absence of the young. As however we went by the cities primary care on a daily basis we’d regularly see people already queuing up in front of closed doors. Also some of the old people, especially in the remote villages aren’t exercising this option. Financial remittances, being sent back by the younger working emigrants to their parents and relatives, might also help the latter’s financial well-being but, given an obvious lack of geriatric facilities, there still remains a lot of work to be done with regards to sufficient care-centres and facilitation of the transportation for the old. Given all of the above statements, the biggest question mark remains, how to built up economic opportunities in the BaBao region. As they would eventually solve two problems at once: the flight of the young and the care for the old. We all sensed that the region was in the midst of a transformation process from old to new ways. Streets and electricity networks are being built, to help ease transportation and communication throughout the township in the upcoming years. Also BaBao will soon be better accessible via a – yet to be completed – high-speed train, passing the Wenshan prefecture. The area might be heading towards a prosperous future, given that also investments are more likely to happen then and its natural landscapes as well as its tourist sights, yet highly underdeveloped, might be the perfect obstacles to progress from. Nevertheless, how to proceed in this regard, should – for this very reason – also be deliberately thought through beforehand. Keeping in mind that Yunnan already boasts many highly acclaimed tourist places, it poses a hard task to compete with those or rather calls for something totally different, also since the Guangxi region already delivers on similar accounts regarding culture and nature. The clear advantage BaBao still possesses, lies within its untouched beauty, so what actually might be best for its future development, could easily be to build less and preserve and sustain it the best way possible. Not letting possible investors dictate the peculiarities of the region, but rather the other way around. Eco-Tourism, then comes to mind, as mountain-biking throughout the region might lure the more adventurous travellers there, or Wellness-Tourism, as it also might be a way to cater for the old, maybe even by keeping some of the young within the region as geriatric caretakers and nursing scholars. A holistic approach brought forth by my colleagues Willats and Duan. Besides the nature scape, the question of cultural preservation still looms above the region. As the young are moving out and the old are dying out eventually, so do their traditions with them, especially those delivered in oral ways. This might even be the most pressing issue the BaBao region currently face, but is easily forgotten as it most of all concerns the ethnic minorities that are spread out wide in the even more remote areas and villages. Preserving their cultural heritage, e.g. by means of state of the art technology (as my colleague Harle applied to the setting), within museum-exhibitions and tourist-sites, or at least to some extent online databases and books, sticks out as – I would say – the task that has to be tackled now, rather then in the future*. Since they represent the culture of the BaBao region. * How two comply with the ethics of the field and certify an adequate proceeding with the data gathered within this project, has been a matter of ongoing discussion of my colleagues and me. Thus far we haven’t used or passed on any of our material – with the exception being the two photos used within this article (consent of people shown, was given in advance). Thus we welcome interested and knowledgeable readers to take part in our discussion. Further down below you’ll also find some interesting background literature on matters of the indigenous people of Australia that J.Harle made us of aware of (s. australia-coucil 2007). 挨文山 (2016): “文山，有多少个民族？” (Link:http://sanwen.net/a/tusxqpo.html) [12/12/2016]. wiki (2016): “Yunnan” (Link:https://en.wikipedia.org/wiki/Yunnan#Economy) [14/12/2016]. australia-council (2007): “Protocols for producing Indigenous Australian writing“ (Link:http://www.australiacouncil.gov.au/symphony/extension/richtext_redactor/getfile/?name=fc8a5cc73467cb405e8943ae14975da7.pdf) [20/12/2016].